THE HUMANS My husband Charley and I have been raising Havanese for 13 years. We work to provide you a healthy, loving family Member, to help your family grow together with your new baby. We are not a kennel. We work to make your experience with your new family member the fun and positive. We are in Mid-Michigan, we occasionally fly with our pups. I am traveling to Southwest Florida a few times per year, so we could deliver there. Our Vets are HouseCalls in Eagle MI 517-626-6900 Riverfront in Lansing MI 517-487-3646 and Schultz Vet. Hospital Okemos MI 517-337-4800 http://schultzvet.com. These Vets will also give references. Raising the Standard-Our pups are raised to the AKC standard. Our Havanese puppies are socialized very early. Starting at birth we assist the mother during whelping to make sure mother and pups are the best they can be. Just about the time their eyes are opening they have already learned who we are through touch, feel and smell. Our puppies are slowly weaned by their moms; we feed high quality pet food. Pups are socialized and begin potty training with us. 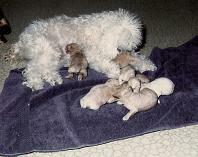 My 1st poodle litter MANY years ago. Havanese Michigan, Havanese Florida, Havanese Puppies, Havanese for sale. 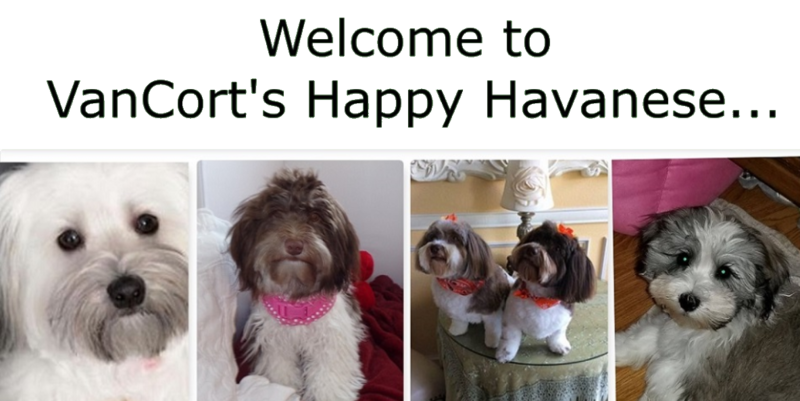 Vancorts Havanese, Havanese Pictures, Havanese Videos. Havanese Chicago, Havanese Traverse City, Havanese Detroit., Havanese Venice Florida. Havanese For sale in MI , Havanese Photos. Havanese Breeder. Havanese puppies Ohio, Havanese puppies Illinois.